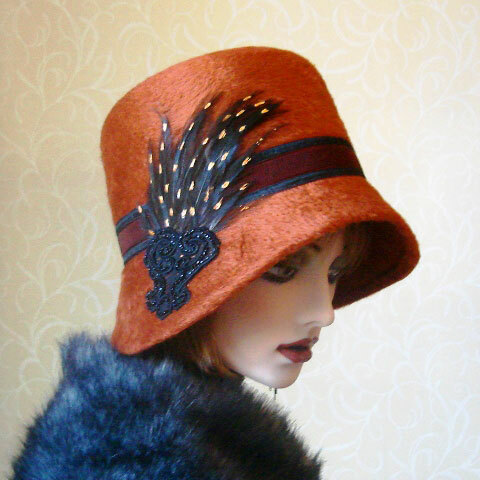 A beautiful terracotta felt hat in lovely autumnal shades. 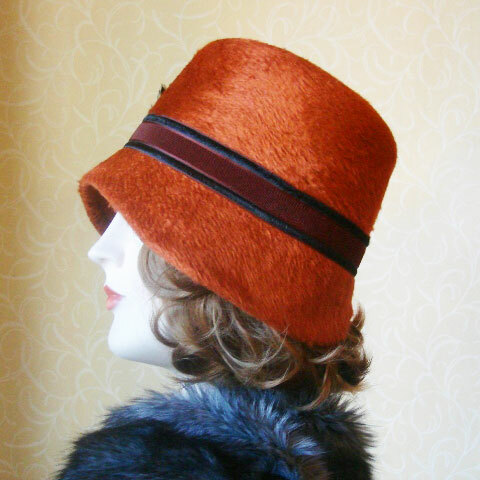 This flat topped melusine felt cloche or ‘bucket hat’, is trimmed with a French vintage silk ribbon which is a rusty brown chenille in the middle and black satin on the edges. 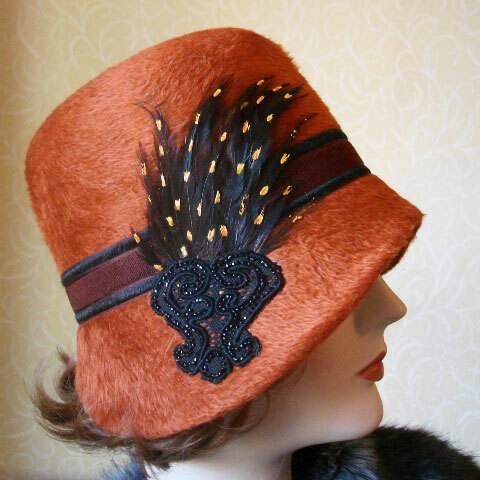 Then we have the dotted feather pad, finished off with a piece of vintage black beadwork. 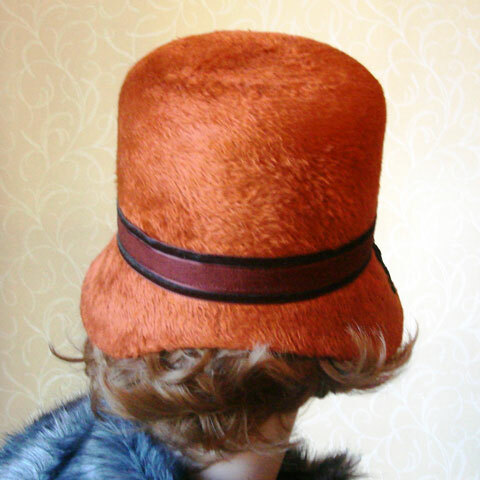 Terracotta felt hat – medium size, but please email to check.